Do you kids love playing BANANAGRAMS? If so, then they will love Word-A-Melon, which is another fun game from the makers of the ever popular BANANAGRAMS word game. "Players take turns flipping letter seeds and creating words. Unused letters get flipped back over, so players should be sure to use their melon! Remembering where the letters are can win sweet victory! The player with the most letter seeds wins the game! It’s that flippin’ fun!" 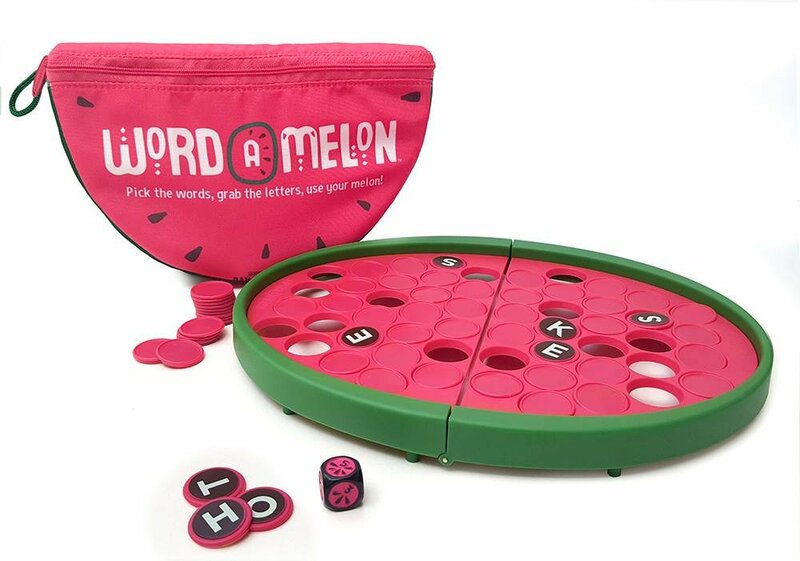 As you can see in this video, everything you need to play this memory-style word game is included in this watermelon sliced pouch. I really like how they games are packaged, as they are playfully designed, and I think this helps with getting kids excited to play the game. If this game was in a basic cardboard box and my girls saw the game name, they would instantly be turned off, as they would think it was an educational word game...and, to them school games are no fun when it comes to family game night. But, this was not the case with Word-A-Melon. The girls were quick to set up the tray with the tiles, and figured out who would go first with the dice. Then, we all settled in and got ready to have a blast trying to make the longest word, and using our memory skills to remember where certain tiles were when it came time for our turns. This truly is the ultimate memory and word-building game, and is great for kids to play together, or to pull out for family game night, or even bring along for camping trips to play with family and friends. The game is recommended for kids ages 6+, and can be played with 2-4 players. Game time lasted about 20 minutes for us, but it went by so fast. The first time we played Word-A-Melon, you could see that my girls were both in it to win it. They have their game faces on and put their thinking caps on, as they didn't want to forget where a tile was, and really thought about the sight words they knew, so that they could make the longest words, and claim the most letter tiles. We ended up playing the came a few times the first time around, as the girls couldn't get enough of it. And, come family game night this past Friday, we skipped other games we had planned to play, just so we could play this game, and Fluff (which I will be sharing a post/review on following this one). My husband was so impressed with how well the girls were playing the game. He could see that this game was not only testing their memory and word building skills, but also was a great game to help with reading and spelling. 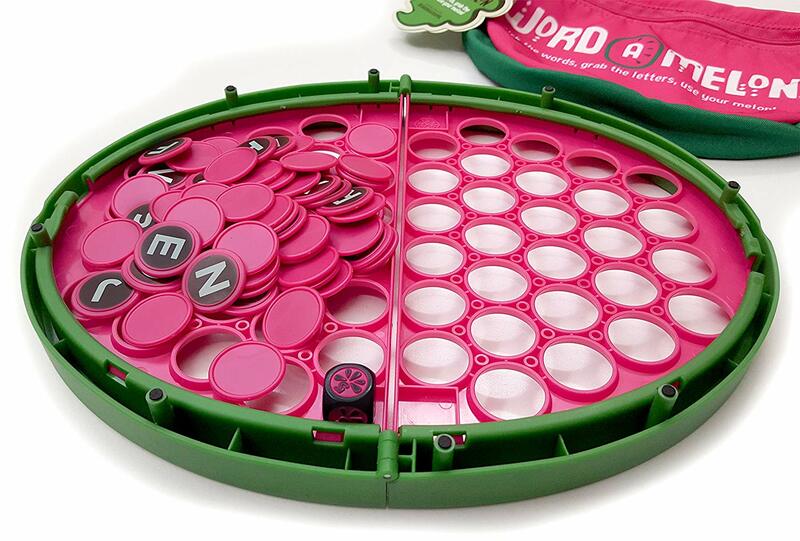 I love how this is a quick game to set up, and stores easily in this folded watermelon sliced game tray. As a homeschool mom I am always looking for fun educational games like this that I can use as part of schooling to break up the day with the girls lessons and workbook work. Whenever they see me pulling out a game, they get excited as they know they will be having. And, after having played Word-A-Melon, every time I pull it out to play during school time, the girls both perk up and get excited. I love seeing them really get into the game. I have also had them grab a sheet of paper to write out the words they have made, to help with their writing, and spelling skills. And, it is like copy work, but not the boring kind they are used to. They come up with the words they see on the tiles they flip, and then make word lists to keep track of words everyone makes -- some that may be new to them, and that is where they develop stronger spelling and reading skills. 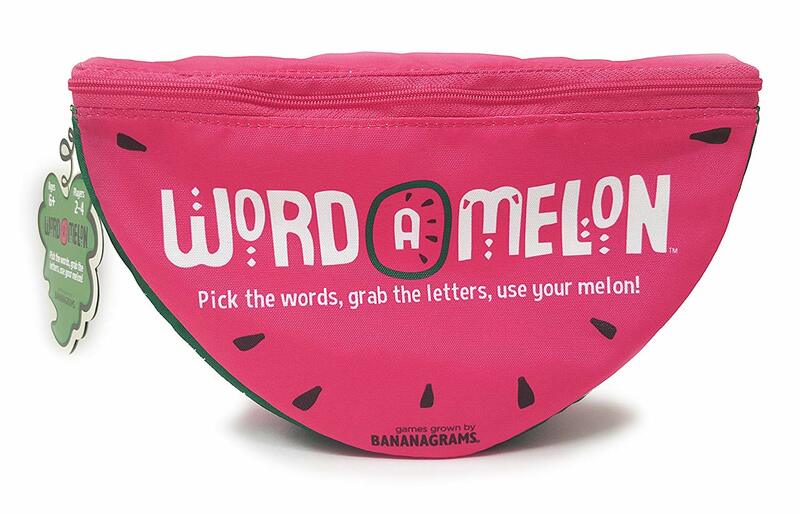 So, as you can see Word-A-Melon, just like BANANAGRAMS, is a win-win for parents and kids. Everyone who sits down to play this game has so much fun, and kids learn at the same time. :-) What more can a parent ask for? Just make sure you put away your phones, though, so that you can truly be in the moment with your kids as you play this game, and can concentrate on the tiles. Family time is quality time and should be given your utmost attention, as these are the times your kids will remember, and you will, too. I look forward to game nights in our house, and now have a new fun word game I like to play, and that the girls can't get enough of. 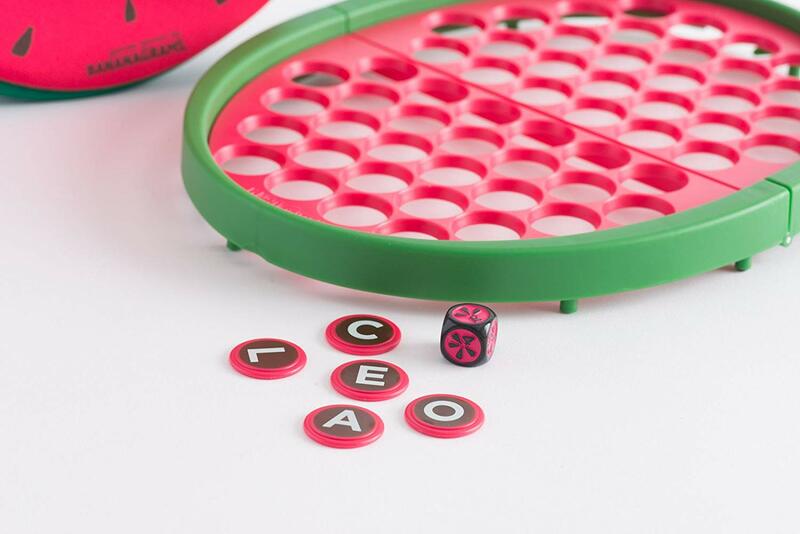 To learn more about Word-A-Melon, as well as other fun and educational games from the folks behind the ever popular BANANAGRAMS game, head on over to https://bananagrams.com/. 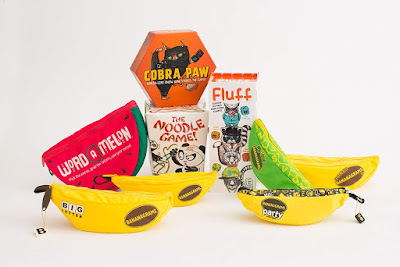 These games would make for great Easter basket fillers for kids of all ages. Skip all that candy and novelty toys and give a gift that will help with their spelling and reading skills, as well as provide hours of fun for the whole family, when you sit down to play these games together.